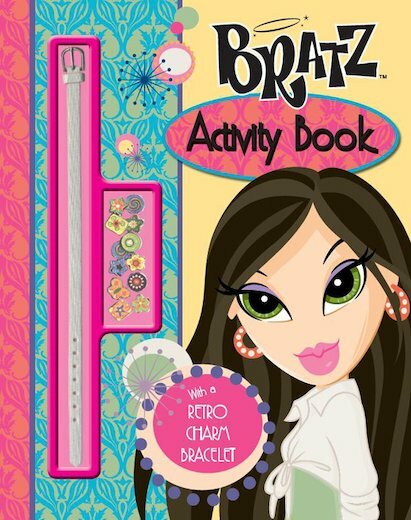 This awesome Bratz activity book of sassy style tips is just about as gorgeous as it gets! It’s simply stuffed with puzzles, games and funky fashion tips to keep you beautiful and busy all day long. There’s even a gorgeous retro charm bracelet to help you look great, Bratz-style! So get ready to hang out with the Bratz. This is a good book. I havn’t read it. But when the books arrived from school, 6 people ordered this book, bratz activity book. It’s really good, Has a lot of activitesfor you to do. The brace let is like a watch so you can wear it all the time.